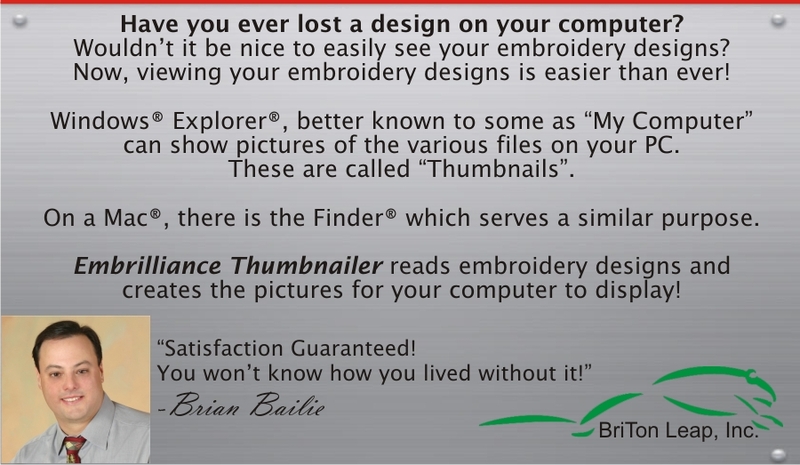 The Embrilliance Thumbnailer provides an easy way for you to view embroidery designs and electronic cutting files on your Mac and PC. 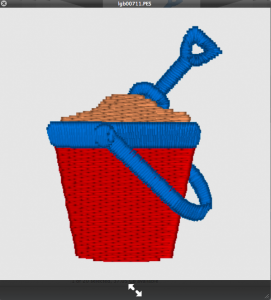 If you’ve been downloading or buying embroidery designs, you need the Thumbnailer. It’s this simple; You can now view designs in your Explorer (PC), Finder or Cover Flow (Mac). 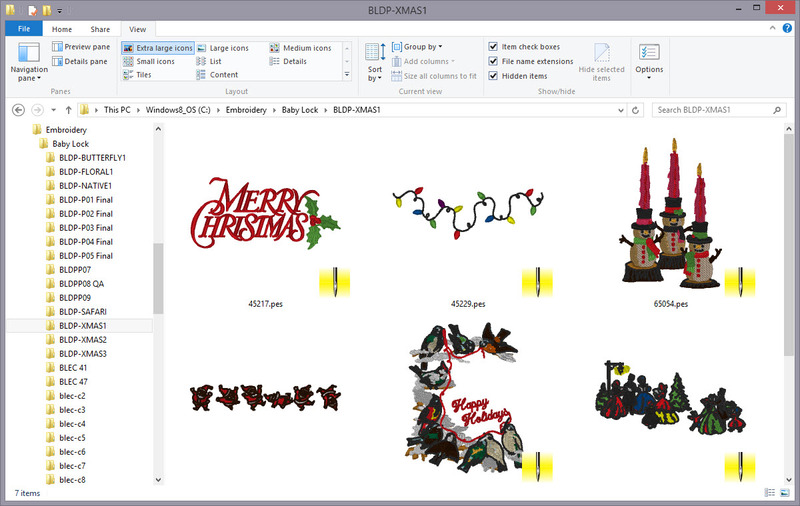 .fcm (Brother Scan ‘n Cut), .studio (Silhouette Studio) and .scut4 (Sizzix eClips)! This program is a World’s First! It contains the World’s First Mac and PC Identical embroidery product, released at the same time! 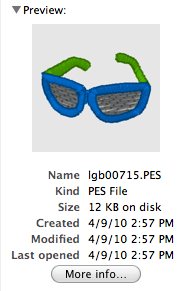 It is the World’s First embroidery product that has a 64-bit Windows version. Thumbnailer works on Intel Macs using OSX 10.5 and above (up to El Capitan as of this writing). Run on as many computers as you own – even mix and match Mac and Windows. 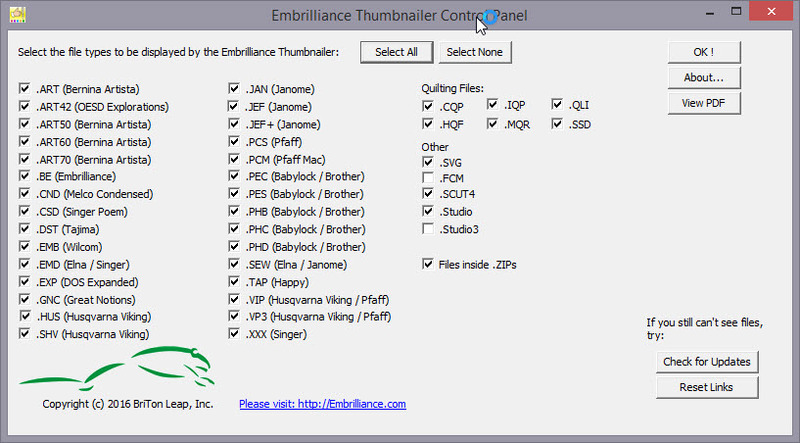 Now for those of you who also have Windows-based machines, or run with Parallels so that you can get to your other embroidery software, we also include the Windows version of the Embrilliance Thumbnailer too!